2000 In Beijing the foreign ministers of China and Vietnam sign a friendship and cooperation treaty which settles a dispute, left unresolved after a 1989 border war, about fishing rights and the border in the Tonkin Gulf. Disagreement on other sea borders remain to be settled. 2000 La estación espacial orbital Mir pierde contacto con el centro de control durante más de 20 horas. 1999 Alfonso Portillo, a populist lawyer, scored a resounding victory in Guatemala's first peacetime presidential elections in nearly 40 years. — Alfonso Portillo y el Frente Republicano Guatemalteco, fundado por el general golpista Enfrían Ríos Montt, son los ganadores de la segunda vuelta de la elecciones presidenciales de Guatemala. 1998 Irak formaliza su ruptura con la Organización de las Naciones Unidas y exige el fin del embargo petrolífero. 1998 Standard & Poor's announces that America Online will join the S&P 500 Index, replacing retailer Venator Group. The replacement of a retailer with an online service company in the widely regarded stock market index underscores the growing economic importance of Internet stocks. 1991 La Cámara de las Repúblicas del Soviet Supremo soviético declara el fin de la URSS a partir de la ratificación del Tratado de la Comunidad de Estados Independientes (CEI). 1991 El integrista Frente Islámico de Salvación (FIS) obtiene la mayoría absoluta en la primera vuelta de las elecciones argelinas. 1990 Garry Kasparov beats Antatoly Karpov to retain world chess championship. 1983 Yasuhiro Nakasone, es reelegido primer ministro del Japón por la Cámara Baja del Parlamento. 1979 The Soviet Union flies 5000 troops to intervene in the Afghanistan conflict.  Osama Bin Laden leaves Saudi Arabia to join the Afghan resistance (mujahedeen). In the sharpest escalation of the war since Operation Rolling Thunder ended in November 1968, US fighter-bombers begin striking at North Vietnamese airfields, missile sites, antiaircraft emplacements, and supply facilities. These raids continued for five days. They were begun in response to intelligence that predicted a North Vietnamese build up of forces and equipment for a new offensive. At a press conference on 27 December US Defense Secretary Melvin Laird said the increase in bombing was in retaliation for the communist failure to honor agreements made prior to the 1968 bombing halt. As evidence, Laird cited the shelling of Saigon the week before, DMZ violations--including an infiltration route being built through the buffer zone, and attacks on unarmed US reconnaissance planes. Pentagon figures showed that US planes--with as many as 250 aircraft participating in some missions--attacked communist targets over 100 times in 1971, a figure comparable to US air activity in the previous 26 months. The intensified bombing spurred new antiwar protests in American. In New York, 15 antiwar veterans barricaded themselves inside the Statue of Liberty and flew the US flag upside down from its crown. They ended their occupation of the monument on December 28, obeying a federal court order. At the same time in Washington, over 80 antiwar veterans were arrested after clashing with police on the steps of the Lincoln Memorial. 1967 Laos says communists launched an offensive Laotian Premier Souvanna Phouma reports that North Vietnamese troops have started a general offensive against government forces in southern Laos. Phouma reported that at least one battle was being waged near Pha Lane, but said Laotian troops appeared to be in control of the situation. On 29 December, North Vietnam denied that its forces began a drive in Laos, but it was supporting the communist Pathet Lao in their long-time campaign against the Royal Lao government. The first day of the first Kwanzaa is celebrated in Los Angeles under the direction of Maulana Karenga, the chair of Black Studies at California State University at Long Beach. The seven-day holiday, which has strong African roots, was designed by Dr. Karenga as a celebration of African American family, community, and culture. In 1965, a deadly riot broke out in the predominantly black Watts neighborhood of Los Angeles, leaving 34 people dead, 1000 injured, and $40 million worth of property destroyed. Karenga, a former black activist, was deeply disturbed by the devastation and searched for a way to overcome the despair he felt had gripped the African American community in the riot's aftermath. He founded Us, a Black cultural organization, and looked to Africa in search of practices and concepts that might empower and unite the nation's African American community. Inspired by Africa's harvest celebrations, he decided to develop a nonreligious holiday that would stress the importance of family and community while giving African Americans an opportunity to explore their African identities. Karenga combined aspects of several different harvest celebrations, such as those of the Ashanti and those of the Zulu, to form the basis of Kwanzaa. The name Kwanzaa is derived from the phrase matunda ya kwanza, which means "first fruits" in Swahili. Each family celebrates Kwanzaa in its own way, but celebrations often include songs and dances, African drums, storytelling, poetry readings, and a large traditional meal. On each of the seven nights, the family gathers and a child lights one of the candles on the kinara, or candleholder, then one of the seven principles is discussed. The principles, called the Nguzo Saba, are values of African culture that contribute to building and reinforcing community among African Americans. These values include unity, self-determination, collective work and responsibility, economic cooperation, purpose, creativity, and faith. An African feast, called a Karamu, is held on 31 December. Today, Kwanzaa is celebrated by millions people of African descent all across the United States and Canada. 1962 Eight East Berliners escape to West Berlin in an armor-plated bus crashing through gates. 1953 The United States announces the withdrawal of two divisions from Korea. 1948 El cardenal primado de Hungría, Jozsef Mindszenty, es detenido, encarcelado y procesado, acusado de espionaje en favor de Estados Unidos. 1947 British transfer Heard and McDonald Islands (Indian Ocean) to Australia. 1945 The United States, Soviet Union and Great Britain end a 10-day meeting, seeking an atomic rule by the UN Council. General George S. Patton employs an audacious strategy to relieve the besieged Allied defenders of Bastogne, Belgium, during the brutal Battle of the Bulge. The capture of Bastogne was the ultimate goal of the Battle of the Bulge, the German offensive through the Ardennes forest. Bastogne provided a road junction in rough terrain where few roads existed; it would open up a valuable pathway further north for German expansion. The Belgian town was defended by the US 101st Airborne Division, which had to be reinforced by troops who straggled in from other battlefields. Food, medical supplies, and other resources eroded as bad weather and relentless German assaults threatened the Americans' ability to hold out. Nevertheless, Brigadier General Anthony C. MacAuliffe met a German surrender demand with a typewritten response of a single word: "Nuts.  Enter "Old Blood and Guts," General Patton. Employing a complex and quick-witted strategy wherein he literally wheeled his 3rd Army a sharp 90 degrees in a counterthrust movement, Patton broke through the German lines and entered Bastogne, relieving the valiant defenders and ultimately pushing the Germans east across the Rhine. 1944 Advancing Soviet troops complete their encirclement of Budapest in Hungary. 1943 El general George Smith Patton recibe una advertencia por haber ordenado que fuesen azotados unos soldados que estaban bajo shock de granadas. 1941 Los británicos toman Bengasi infligiendo una fuerte derrota a las fuerzas italo-germanas de Rommel. 1941 New Enemy Force 280 km North of Singapore.Chinese Join Battle: British Total of Losses Is Reduced Greatly When 'Lost' Units Appear. British Shift at Singapore Replaces Brooke-Popham. Less than three weeks after the American entrance into World War II, Winston Churchill becomes the first British prime minister to address a joint meeting of the US Congress. Churchill, a gifted orator, urges Congress to back President Franklin D. Roosevelt's proposal that America become the "great arsenal of democracy," and warns that the Axis powers will "stop at nothing" in pursuit of their war aims. Four days before, Roosevelt and Churchill met in Washington, D.C., at the start of their first official conference, code-named Arcadia. Over three weeks of talks, the two Allied leaders and their chief advisors agree to set up the Combined Chief of Staff to coordinate future military activity, and issue the first United Nations declaration, a unilateral statement of war aims by the twenty-six nations at war with the Axis powers. Churchill and Roosevelt also agree that neither nation will make a separate peace and propose possible Allied landings in northwest Africa or in France. The "Big Three"--Churchill, Roosevelt, and Soviet leader Joseph Stalin--do not meet together until the Teheran conference of late 1943. Less than three weeks after the American entrance into World War II, Winston Churchill becomes the first British prime minister to address Congress. Churchill, a gifted orator, urged Congress to back President Franklin D. Roosevelt's proposal that America become the "great arsenal of democracy" and warned that the Axis powers would "stop at nothing" in pursuit of their war aims. Born at Blenheim Palace in 1874, Churchill joined the British Fourth Hussars upon his father's death in 1895. During the next five years, he enjoyed an illustrious military career, serving in India, the Sudan, and South Africa, and distinguishing himself several times in battle. In 1899, he resigned his commission to concentrate on his literary and political career and in 1900 was elected to Parliament as a Conservative MP from Oldham. In 1904, he joined the Liberals, serving a number of important posts before being appointed Britain's First Lord of the Admiralty in 1911, where he worked to bring the British navy to a readiness for the war he foresaw. In 1915, in the second year of World War I, Churchill was held responsible for the disastrous Dardanelles and Gallipoli campaigns and was thus excluded from the war coalition government. However, in 1917 he returned to politics as a cabinet member in the Liberal government of Lloyd George. From 1919 to 1921, he was secretary of state for war and in 1924 returned to the Conservative Party, where two years later he played a leading role in the defeat of the General Strike of 1926. Out of office from 1929 to 1939, Churchill issued unheeded warnings of the threat of Nazi and Japanese aggression. After the outbreak of World War II in Europe, Churchill returned to his post as First Lord of the Admiralty and eight months later replaced Neville Chamberlain as prime minister of a new coalition government. In the first year of his administration, Britain stood alone against Nazi Germany, but Churchill promised his country and the world that Britain would "never surrender." He rallied the British people to a resolute resistance and expertly orchestrated Franklin D. Roosevelt and Joseph Stalin into an alliance that eventually crushed the Axis. After a postwar Labor Party victory in 1945, Churchill became leader of the opposition and in 1951 was again elected prime minister. In 1953, he was knighted by Queen Elizabeth II and awarded the Nobel Prize in literature. After his retirement as prime minister, he remained in Parliament until 1964, the year before his death. 1926 The Length of Africa by Motorcar The first overland journey across Africa from south to north was completed when the expedition of Major C. Court Treatt arrived in Cairo, Egypt. Major Treatt had set out from Capetown, South Africa, some twenty-seven months earlier in two military-style Crossley automobiles. After the difficult trek across unmapped regions, the hero's safe arrival in Cairo was a major treat for everyone. 1925 Six US destroyers are ordered from Manila to China to protect US interests in the civil war that is being waged there. 1925 Turkey adopts Gregorian calendar. 1921 The Catholic Irish Free State becomes a self-governing dominion of Great Britain. 1917 As a wartime measure, President Woodrow Wilson places railroads under government control, with Secretary of War William McAdoo as director general. 1916 Joffre es separado del alto mando y sustituido por el general Robert G. Nivelle. 1909 Se celebra en Hamburgo el IX Congreso Sionista. 1884 España anuncia a las potencias extranjeras que tiene bajo su protectorado la costa occidental de África comprendida entre los cabos Bojador y Blanco, territorio comúnmente denominado Sáhara Occidental. John Wanamaker instals electric lights in his department store in Philadelphia. Although light bulbs had not yet been invented, electric light could be generated through arc lamps, which presented a fire hazard due to their high intensity. Although scientists had been working for years on developing a safe, mild, electric light, it wasn't until 1879 that Thomas Edison invented the incandescent light bulb. 1866 Brig. Gen. Philip St. George Cooke, head of the Department of the Platte, receives word of the Fetterman Fight in Powder River County in the Dakota territory. 1863 Por primera vez se aplica la electricidad en Europa con el alumbrado de los faros costeros del cabo de La Heve (Francia). 1861 US frees Reb envoys to UK, ending Trent affair. Confederate diplomatic envoys James M. Mason and John Slidell are freed by the Lincoln administration, thus heading off a possible war between the United States and Great Britain. The two men were aboard the British mail steamer Trent on 08 November when, near the Bahamas on 08 November 1861, US Navy Captain Charles Wilkes commanded the crew of the USS. San Jacinto to stop it. The envoys were headed to London to lobby for recognition of the Confederacy. The Southerners were arrested and and taken to prison at Fort Warren in Boston Harbor. The British were outraged when word of the interception reached London in late November, fueling anti-American sentiment among the British. The British had not taken sides in the American Civil War and their policy was to accept any paying customer that wished to travel aboard their ships. The British government dispatched a message to the US government demanding the release of Mason and Slidell and an apology for the transgression of British rights on the high seas. The British cabinet sent a message on 01 December insisting that the US respond within a week. It also began preparing for war, banning exports of war materials to the US and sending 11'000 soldiers to Canada. Plans were made to attack the American fleet that was blockading the South, and the British planned a blockade of northern ports. 1848 William and Ellen Craft escape from slavery in Georgia. On this his 43rd birthday, Charles Babbage doom his own quest to build a mechanical calculator on this day in 1834. A prominent mathematician who helped found England's Analytic, Royal Astronomical, and Statistical Societies, Babbage had proposed the idea of a mechanical calculator in 1812. By 1823, Parliament had granted Babbage funding to build his machine, which he called the "Difference Engine." Babbage's protege, Ada, countess of Lovelace, helped devise a method to program the machine using punched cards. Babbage devoted the next ten years of his life to building the Difference Engine, spending £17'000 of government funding. To secure additional funding, he submitted a written statement describing his progress. Unfortunately, Babbage had developed an idea for a new, more powerful machine, the Analytic Engine, which he mentioned in his description, convincing Parliament that further investment in the Difference Engine would be a waste. He received no more government grants, so he funded the machine's development from his own pocket until he ran out of money and abandoned the project in 1848. In 1854, a Swedish engineer finally succeeded in constructing a Difference Engine based on Babbage's theories. The machine was largely forgotten until Babbage's drawings were rediscovered in 1937. In the Senate, Henry Clay delivers a stern rebuke to his arch-rival, President Andrew Jackson. Clay's actions, delivered in the form of two sharply worded resolutions, stemmed from the president’s controversial decision to transfer the government's funds from the Bank of the United States to state institutions. Clay, however, also moved against the Treasury Department and targeted the second resolution at Secretary Roger Taney, who was installed in the Treasury post when the acting secretary defied Jackson's orders to remove the government's funds from the Bank of the United States. After considerable debate and deliberation, the Senate green-lighted the resolutions in March of 1834. But, the pugnacious president was not one to lay down and simply let the rebukes glide into the Senate's records; he lobbied the Senate and lodged a formal protest against the resolutions, all to no avail. However, in January of 1834, Senator Thomas Hart Benton succeeded where the resident failed and managed to get the resolutions stripped from the Senate Journal. Embarking on the second of three wide-ranging exploratory journeys in the West, Prince Paul Wilhelm of Wurttemberg leaves St. Louis and heads up the Missouri River. Born near Stuttgart in southwestern Germany in 1797, Prince Paul (later the Duke) of Wurttemberg was the son of King Friedrich I. As the scion of a powerful royal family, the Prince could have chosen to live out a quiet life in the lap of luxury in Germany. But from an early age he developed a passionate interest in natural science paired with a strong desire to explore the world beyond his castle walls. When he was 25, the Prince made the long ocean journey to the United States, arriving in New Orleans in December 1822. He and his small company of retainers took a riverboat up the Mississippi to St. Louis, where the Prince met with the Superintendent of Indian Affairs, William Clark, who--along with his co-captain, Meriwether Lewis--led the famous Corps of Discovery nearly two decades earlier. Though Clark questioned whether the young German prince had the mettle to make his proposed expedition up the Kansas River to study the regional botany, he granted him a passport into the interior country. Clark's doubts seemed confirmed when the Prince was forced to retreat down the Kansas River by swarms of bloodthirsty mosquitoes. But the Prince was tougher than Clark realized, and in the months to come, he traveled up to the Missouri Fur Company fort in South Dakota and spent three days with the Pawnee Indians along the Platte River. The young German prince must have finally impressed the veteran western explorer, for when the Prince left to return to Germany in 1824, Clark gave him permission to take along Jean Baptiste Charbonneau, Clark's sixteen-year-old foster son, whose mother, Sacagawea, had accompanied the Corps of Discovery. For six years, the French-Indian Charbonneau was the Prince's constant companion in his travels in Europe and North Africa. The Prince returned to the United States in 1829, safely delivering the now cosmopolitan and highly educated (he learned to speak French, German, and Spanish) Charbonneau back to his home. Charbonneau went on to his own adventures, eventually becoming a celebrated fur trapper and mountain man. Meanwhile, the Prince embarked on his second American expedition, traveling into the upper Missouri River country and then into northern and central Mexico. A third expedition in 1849 took him all the way to the California gold fields. During his journeys, the Prince gathered thousands of scientifically valuable botanical, geological, and zoological specimens, and his ethnological studies of the Native Americans were thoughtful and perceptive. 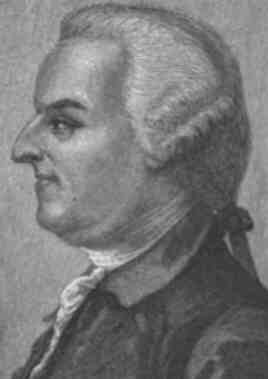 Also a fine sketch artist, he provided the illustrations for his voluminous diaries, some of which were published in German and later translated into English. He died in 1860 at the age of 63, four months after returning from an expedition to Australia. Hoping to recover from bankruptcy with a bold scheme of colonization, Moses Austin meets with Spanish authorities in San Antonio to ask permission for 300 Anglo-American families to settle in Texas. A native of Durham, Connecticut, Austin had been a successful merchant in Philadelphia and Virginia. After hearing reports of rich lead mines in the Spanish-controlled regions to the west, Austin obtained permission in 1798 from the Spanish to mine land in an area that lies in what is now the state of Missouri. Austin quickly built a lead mine, smelter, and town on his property, and his mine turned a steady profit for more than a decade. Unfortunately, the economic collapse following the War of 1812 destroyed the lead market and left him bankrupt. Determined to rebuild his fortune, Austin decided to draw on his experience with the Spanish and try to establish an American colony in Texas. In 1820, he traveled to San Antonio to request a land grant from the Spanish governor, who initially turned him down. Austin persisted and was finally granted permission to settle 300 Anglo families on 200,000 acres of Texas land. Overjoyed, Austin immediately set out for the United States to begin recruiting colonists, but he became ill and died on the long journey back. The task of completing the arrangements for Austin's Texas colony fell to his son, Stephen Fuller Austin. The younger Austin selected the lower reaches of Colorado River and Brazos River as the site for the colony, and the first colonists began arriving in December 1821. Over the next decade, Stephen Austin and other colonizers brought nearly 25,000 people into Texas, most of them Anglo-Americans. Always more loyal to the United States than to Mexico, the settlers eventually broke from Mexico to form the independent Republic of Texas in 1836. Nine years later, they led the successful movement to make Texas an American state. 1806 Napoleon's army is checked by the Russians at the Battle of Pultusk. 1799 George Washington is eulogized by Colonel Henry Lee as "first in war, first in peace and first in the hearts of his countrymen." [he did not mention a possible exception: Washington's slaves]. 1792 José Ocáriz, cónsul español en París, protesta públicamente en una carta por la condición de prisionero a que se ve sometido Luis XVI. 1786 Daniel Shay leads a rebellion in Massachusetts to protest the seizure of property for the non-payment of debt. 1776 After crossing the Delaware River into New Jersey, George Washington leads an attack on Hessian mercenaries at Trenton, and takes 900 prisoners.  Las tropas británicas son derrotadas por las estadounidenses en la batalla de Trenton (New Jersey), durante la Guerra de Independencia de Estados Unidos. 1713 Felipe V firma un Real Decreto, redactado por Jean Orry, por el que España queda dividida en 21 provincias, con fines administrativos y tributarios. 1653 Oliver Cromwell se erige en protector (dictador) de Inglaterra. William Shakespeare's play King Lear is performed at the court of King James I of England. Lear is one of the later works penned by the playwright. Shakespeare's father was probably a common tradesman. He became an alderman and bailiff in Stratford-upon-Avon, and Shakespeare was baptized in the town on 26 April 1564. Shakespeare married Anne Hathaway on 28 November 1582, and the couple had a daughter in 1583 and twins in 1585. Sometime later, Shakespeare set off for London to become an actor and by 1592 was well established in London's theatrical world as an actor and playwright. He would come to be called the English national poet and considered by many to have been the greatest dramatist of all time. His earliest plays, including The Comedy of Errors and The Taming of the Shrew, were written in the early 1590s. Later in the decade, he wrote tragedies like Romeo and Juliet (1594-1595) and comedies including The Merchant of Venice (1596-1597). His greatest tragedies were written after 1600, including Hamlet (1600-01), Othello (1604-05), King Lear (1605-06), and Macbeth (1605-1606). Shakespeare became a member of the popular theater troupe the Lord Chamberlain's Men, which later became the King's Men. The group built and operated the famous Globe Theater in London in 1599. Shakespeare became a major shareholder in the troupe and earned enough money to buy a large house in Stratford in 1597. He retired to Stratford in 1610, where he wrote his last plays, including The Tempest (1611) and The Winter's Tale (1610-11). Meanwhile, he had written more than 100 sonnets, which were published in 1609. 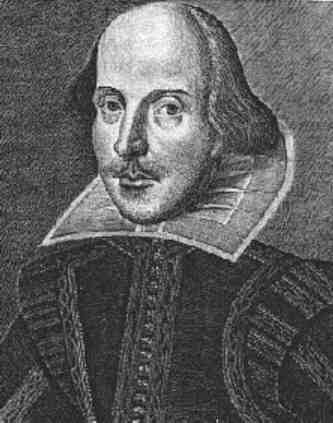 Shakespeare's plays were not published during his lifetime. After his death (23 April 1616), two members of his troupe collected copies of his plays and printed what is now called the First Folio (1623). 1552 Las tropas del emperador Carlos V levantan el sitio de Metz tras 60 días de inútiles esfuerzos. During his first voyage to the New World, Italian explorer Christopher Columbus establishes the first Spanish settlement in the Americas. The temporary settlement comprises thirty-eight of his men whom he leaves with munitions and supplies on the island of Hispaniola, now known as Haiti. On August 3, Columbus set sail from the Spanish port of Palos, commanding three ships--the Pinta, the Nina, and the flagship Santa Maria--and 120 men. Under the name of the Spanish crown, Columbus was attempting to find a western ocean trade route to India. On October 12, Columbus sighted Watling Island in the Bahamas, initially believing that he had found islands near Japan. He later sailed on until he reached Cuba, which he thought was mainland China, and then discovered Haiti, which he claimed for the Queen Isabella and King Ferdinand of Spain and named Hispaniola. On Hispaniola, the expedition traded with natives whom Columbus incorrectly termed "Indians" as he believed he had been sailing in the Indian Ocean. By this time, the Santa Maria had been wrecked, so Columbus decided to leave some of his men on Hispaniola among the natives, to be picked up during a second voyage in the next year. The two smaller ships sail back to Spain, reaching Palos in March of 1493, and Columbus is received with the highest honors by the Spanish court. In September of 1493, Columbus sets sail from Cadiz, Spain, with a fleet of three carracks and seventeen caravels on his second voyage. After stopping at the Canary Islands for supplies, the expedition sights Dominica in the West Indies, and travels on to Guadeloupe and Puerto Rico. En route, Columbus finds that the thirty-eight men he left on Hispaniola during his first voyage have all been massacred by the natives. The precise reason why has not been determined. 2000 Janice Hagerty, 46, office manager; Cheryl Troy, vice president of human resources; Louis Javelle; Craig Wood, 29; Jennifer Bragg Capobianco, 29; Paul Marceau, 36; Rose Manfredi, 48, employees of Edgewater Technology murdered by fellow employee Michael McDermott, 42, "gone postal" with an AK-47-style assault rifle, a 12-gauge shotgun, and a semiautomatic handgun, in Wakefield, Massachusetts, at about 11:00. At his April 2002 trial, McDermott would claim that he thought he was killing Hitler and his staff. The prosecutor would argue that McDermott is faking insanity. On 24 April 2002, the jury would convict McDermott on seven counts of first-degree murder, which means a mandatory maximum sentence under Massachusetts law: life in prison without the possibility of parole. 2000 Andre Beukes, 27, policeman, as his speedboat goes over 50-meter- high Loskop Dam in South Africa. His wife and baby were waiting for him on the shore. 1998 Luan Phi Dawson, from being hit by a piece of flying metal while waiting to board a ride at Disneyland on 24 December 1998. His wife and a Disneyland employee were also injured. Born on 06 August 1990, in Atlanta, Ga., she was the daughter of John B. Ramsey, 53, and Patricia Paugh Ramsey, 39. She moved to Boulder in 1991 from Atlanta. She attended High Peaks Elementary School and was a member of St. John'sEpiscopal Church of Boulder. Asked by the police to search the house, an 13:00 John Ramsey "finds" the body of his daughter in the basement wine cellar of the family's15-room, 599-square-meter home. Boulder home. According to the police report, JonBenét was covered with a blanket, her wrists were tied above her head, her mouth was covered with tape, and a nylon cord was wrapped around her neck. The autopsy report revealed she might have been sexually abused, that she suffered a blow to her head that left a 22 cm fracture, and that she died from strangulation..
JonBenet had become a seasoned model and pageant contestant in her 6 years. She held several titles, including the 1995 Little Miss Colorado. She, like her mother -- the 1977 Miss West Virginia -- appeared to be made for the stage. 25 Dec — JonBenet receives a new bike for Christmas. That afternoon, the Ramseys go to the home of family friend Fleet White for dinner, leaving at about 21:00. They drop off gifts at the homes of other friends on their way home. A sleeping JonBenet is put to bed around 10 p.m.
26 Dec  05:30. — Patsy Ramsey , 39, gets up early and goes downstairs to make a pot of coffee. A three-page ransom note found on the stairs demands $118'000 for the safe return of JonBenet. Patsy Ramsey says she ran to her daughter's second-floor bedroom, but the little girl wasn't there. 05:52 — Patsy and her husband, prominent businessman John Ramsey , 53, call police to report their daughter has been kidnapped. 05:59 — Boulder police arrive, search the house and take preliminary reports from the Ramseys . 08:10 a.m. — Boulder Police detective Linda Arndt arrives at the house. 13:05 — Acting on what he says was a suggestion from police, John Ramsey searches his home at 755 15th St. and finds his daughter in a windowless, basement room. Her mouth is sealed with duct tape and a cord is wrapped around her neck and one wrist. 27 Dec — After an autopsy, the Boulder County Coroner's Office says JonBenet died of asphyxia caused by strangulation. 07 Jan 1997 — Police find a practice ransom note in the Ramsey home. 21 Jan — Sources indicate that the $118,000 demanded in the ransom note was the amount of John Ramsey 's 1996 bonus as head of Access Graphics. 14 Jul — Portions of JonBenet's autopsy report are unsealed and the details portray a brutal death by strangulation: deep ligature around her neck and right wrist, blood and abrasions in her vaginal area (although no indication that this was caused by prior sexual abuse), and an 81/2-inch cranial fracture. 13 Aug — The full autopsy report is released, excluding only the estimated time of death. 08 Sep — Boulder District Attorney Alex Hunter releases copies of the ransom note. 11 Jan 1998 — It is announced that the DNA found on JonBenet's body, reportedly from the under her nails, does not match that of any family member. 25 December: JonBenét is sent to bed at about 20:30. The family had plans to fly to Michigan early the next morning. Sometime before dawn, JonBenét is killed; her skull is fractured, she is strangled with a cord, duct tape is put over her mouth, and her body is dragged downstairs to a small room in the basement. She is wrapped in a blanket, with her feet taped together and her head uncovered and her arms above her head. 26 December: Patsy Ramsey calls the police at 05:22, ahouting "send help!" and saying that her daughter is missing and that a 2½-page ransom note demanding $118'000 had been left by the kidnapper on the steps of the back stairs leading to the kitchen. The note begins: "Dear Mr. Ramsey, We have your daughter...  and includes the words "behead" and "attaché.  It was printed in block letters and has neat margins. It also makes reference to a Navy air base in the Philippines where John Ramsey had served. Four misspellings in the note appear to be intentional. Patsy Ramsey screams for John and they check Burke's room, but JonBenét is not in there. Patsy begins to phone friends. Police arrive at 5:35 a.m. and perform a cursory search of the premises. They contact the FBI and begin make plans to deal with the kidnapper. A detective did not arrive until two hours later. Friends began gathering at the home. At 07:30, John Ramsey obtains the cash for the $118'000 ransom. FBI agents arrive at 10:30 and set up a wiretap and recording equipment. At abou 13:00, police suggest that John Ramsey search the house to look for clues. At 13:30, John Ramsey and his friend Fleet White discover JonBenét's body in the basement. The door to the room was stuck, which is why the police said they had not checked it earlier. There is no window in the room. Another window in the basement was found open with a chair underneath. John Ramsey removes the tape from her mouth and carries her upstairs, where he layed her on the floor by the Christmas tree. Guests began trying to revive her. The Boulder County coronor's staff removed the body from the house 22:45. 27 December: The Boulder County coroner reported that an autopsy revealed that the cause of death was asphyxia due to strangulation, and her death was ruled a homicide. 03 January: It is reported that there was forced entry into the Ramsey's home and that as many as 15 people had keys to the house. 04 January: It was reported that the note had been written on a legal pad found inside the house and also contained a warning that the Ramseys prepare for a rigorous ordeal. It was also reported that the Ramsey's security system was not operating at the time of the murder. 06 January: The Colorado Daily reports that the police had searched the windowless room earlier than John Ramsey and that the body was not there at that time. 09 January: It is reported that a cord tied around JonBenét's right wrist matched the cord around her neck. The Rocky Mountain News reported that police did not search the room where the body was found the morning of the 26th. 21 January: Police state that the $118'000 demanded in the ransom note is the amount received recently as a bonus by John Ramsey. -- Ramsey case links -- Theory that her brother Burke, 9, killed her accidentally, but does not realize it, and the parents are covering up for him (plus belong to an influential ritual child abuse ring).. In Boulder, Colorado, JonBenet Ramsey, 6, is found murdered in the basement of her home, several hours after her parents called the police to say she had been kidnapped. Over 1500 children were murdered in the United States in 1996, but none of these murders attracted more media attention or fascinated the American public as much as the case of JonBenet Ramsey. During her brief life, JonBenet was a frequent contestant in child beauty pageants, and was named National Tiny Miss Beauty and Little Miss Colorado, among other titles. Professional beauty photos of Ramsey released to the press after her death gave this particular child murder case a human face, and the public followed the criminal investigations intently. On the morning after Christmas, JonBenet's mother, Patsy Ramsey, calls the police and explains that she has discovered a three-page ransom letter for her daughter, who can not be found. Shortly thereafter, according to police reports, JonBenet's father, John Ramsey, found his daughter murdered in the basement wine cellar of their home. Her body was covered with a blanket, her wrists were tied above her head, her mouth was covered with tape, and a nylon cord was wrapped around her neck. The autopsy report revealed she might have been sexually abused and that she suffered a blow to her head that left an eight-and-a-half-inch fracture. After several months of investigation, with no charges or outside suspects found in the case, the police initiated an investigation of members of the Ramsey family. After studying handwriting samples, a police expert concluded that the hand-written ransom note matched the handwriting of Patsy Ramsey, although the police doubted that the charge could be proved in a court of law. One year after the crime, the Ramseys publicly denied any responsibility in their daughter's murder, although Boulder County District Attorney Alex Hunter identified the Ramseys as "the obvious focus of the investigation.  After nearly two years without an arrest, Commander Mark Beckner, the new lead investigator in the crime, stated that JonBenet's family "remain under an umbrella of suspicion," and that police were still searching for conclusive evidence. 1972 Harry Truman, 88, 33rd US President, in Kansas City, Missouri. 1949 Mateo Hernández Sánchez, escultor y pintor español. 1947 Some 80 persons because of weather as snow blankets the Northeast US, burying New York City under 65 cm of snow in 16 hours. The German battle cruiser Scharnhorst is sunk by British warships in the Arctic after decoded German naval signals reveal that the Scharnhorst is on a mission to attack an Anglo-American convoy to Russia. Hitler's navy had posed serious threats to convoys shipping supplies to the Soviet Union since the fall of 1941. American, British, and Soviet merchant ships had suffered devastating attacks in the Arctic, mostly by German U-boats. Operation Rainbow was the German plan to attack two Anglo-American convoys as they sailed between Bear Island and the North Cape en route to the Eastern front. But Enigma, the British code-breaker, once again provided the Allies with the sensitive strategic information they needed to anticipate and prevent disaster. The Scharnhorst, Germany's 31'000-ton battle cruiser, which had already sunk the British cruiser Rawalpindi, was surprised by the British battleship Duke of York, which sank it in what became known as the Battle of North Cape. Approximately 2000 German sailors and crew drowned and only 36 survived. More deaths due to Stalin's desire to grab Finnish territory. Eastern Isthmus: at Taipale, the Russian troops which have overrun Kelja successfully repulse Finnish attempts at counterattack. Northern Karelia: the North Karelian Group completes its offensive in the Pielisjärvi sector after two days, having forced the opposing Russian regiment back across the border. South coast: the enemy bombs Kotka - four people are killed. Ladoga Karelia: the railway junction at Elisenvaara in the municipality of Kurkijoki is subjected to intensive bombing. One of the bombs kills 29 civilians who had taken refuge in a sewage ditch. Abroad: Uruguay announces it is to send material aid to Finland. Mexico also promises to send Finland whatever assistance it can afford. Abroad: in a speech at the Vatican, Pope Pius XII condemns the Soviet attack on Finland. 1932 Over 70'000 people in a massive earthquake in Kansu, China. 1896 Margaretha (Margi) Roosenboom Vogel, Dutch artist born on 24 October 1843. 1862 38 Santee Sioux, hanged in Mankato, Minnesota for their part in the Sioux Uprising in Minnesota. Little Crow has fled the state. 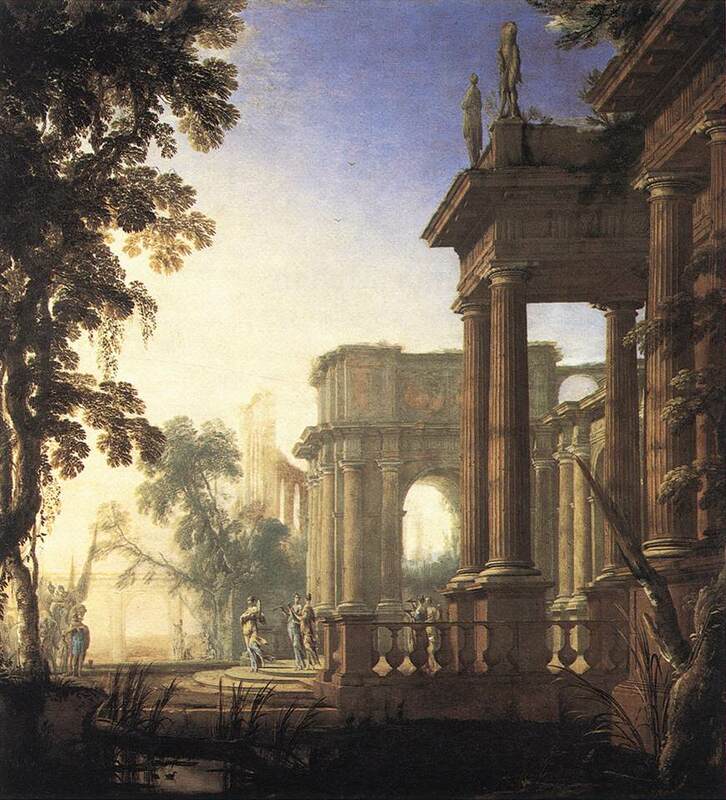 1676 Dominicus Wanto van Tol, Dutch artist born in 1635. The Ford Motor Company had trouble in the early 1980s. Its trucks were selling well, but its line of cars were unpopular and had terrible reputations. The company lost $3.3 billion from 1980 through 1982. As the losses piled up, Ford's engineers were working feverishly to redesign their line of mid-size cars. Ford turned out a redesigned Thunderbird and Tempo and managed a profitable year. On this day Ford introduced the Taurus, the product of years of engineering. The distinctively streamlined car became enormously popular, lifting Ford to record profits in the late 1980s. The rounded "jellybean" shape of the Taurus had a strong influence on the designs of other auto makers in the next few years. The first Kwanzaa celebration is organized in Los Angeles, California, by Dr. Maulana Karenga, a professor and chairman of Black Studies at California State University at Long Beach. Dr. Karenga establishes Kwanzaa as a non-religious African-American holiday that will celebrate family, community, and culture for seven days, beginning on December 26 and ending on New Year's Day. After the Watts riots in Los Angeles, Dr. Karenga searched for ways to bring African Americans together as a community. He founded US, a cultural organization, and started to research African "first fruit" harvest celebrations. Karenga combined aspects of several different harvest celebrations, such as those of the Ashanti and those of the Zulu, to form the basis of Kwanzaa. The name Kwanzaa is derived from the phrase matunda ya kwanza, which means "first fruits" in Swahili. Each family celebrates Kwanzaa in its own way, but celebrations often include songs and dances, African drums, storytelling, poetry reading, and a large traditional meal. On each of the seven nights, the family gathers and a child lights one of the candles on the Kinara, or candleholder, then one of the seven principles is discussed. The principles, called the Nguzo Saba, are values of African culture which contribute to building and reinforcing community among African Americans. These values include unity, self-determination, collective work and responsibility, economic cooperation, purpose, creativity, and faith. An African feast, called a Karamu, is held on 31 December. Today, Kwanzaa is celebrated by people of African descent all across the United States and Canada. 1953 Leonel Fernández Reyna, presidente de la República Dominicana. 1944 The Glass Menagerie, by Tennessee Williams, is first performed publicly, at the Civic Theatre in Chicago. 1937 Etienne Gnassingbe Eyadema, presidente de Togo. Edwin Armstrong, an electrical engineer at Columbia University, patents frequency modulation (FM) radio. FM signals were superior to AM (amplitude modulation) signals because they were static-free. Armstrong had already patented other important radio inventions, including the feedback receiver. 1933 Dat Jidosha Seizo Company. The Nissan Motor Company is organized in Tokyo under the name Dat Jidosha Seizo Co. (It received its present name the next year). Nissan began manufacturing cars and trucks under the name Datsun. During World War II, Nissan was converted to military production, and after Japan's defeat operated in a limited capacity under the occupation government until 1955. Since then, Nissan has grown into one of the world's premier car companies. 1904 Alejo Carpentier, escritor y musicólogo cubano. 1893 Robert Ripley, US newspaper cartoonist; founded "Ripley's Believe It or Not!". He died on 27 May 1949. 1891 Henry Miller US novelist (Tropic of Capricorn, Tropic of Cancer). He died on 07 June 1980. 1873 Sir Norman Angell, English economist and Nobel Peace Prize winner, who died on 07 October 1967. 1854 Wood-pulp paper 1st exhibited, Buffalo. 1853 René Bazin, escritor francés. 1837 George Dewey, Admiral of the US Navy: Spanish-American War: hero of Manila: ("You may fire when you are ready, Gridley. ). He died on 16 January 1917. 1832 Sergio Camargo, presidente de Gobierno colombiano. 1820 Dion Boucicault, Irish-born US playwright and actor, who died on 18 September 1890. 1791 Charles Babbage, mathematician, inventor of a precursor of the computer. A prominent mathematician who helped found England's Analytic, Royal Astronomical, and Statistical Societies, Charles Babbage proposed the idea of a mechanical calculator in 1812. By 1823, Parliament had granted Babbage funding to build his machine, which he called the "Difference Engine.  Babbage's protege, Ada, countess of Lovelace, helped devise a method to program the machine using punched cards. Babbage devoted the next ten years of his life to building the Difference Engine, spending £17'000 of government funding. Unfortunately, Babbage ran out of funds to build the machine and was forced to abandon the project in 1848. In 1854, a Swedish engineer finally succeeded in constructing a Difference Engine based on Babbage's theories. Babbage died on 18 October 1871. His machine was largely forgotten until his drawings were rediscovered in 1937. 1755 Balthasar Paul Ommeganck, Flemish artist who died on 18 January 1826. 1716 Thomas Gray, English poet who died on 30 July 1771. Although Gray wrote only 49 poems, he was the dominant poet in mid-18th century Great Britain and a precursor of the Romantic movement. Awaits alike th' inevitable hour. Or wak'd to ecstasy the living lyre. Nor cast one longing, ling'ring look behind? Or craz'd with care, or cross'd in hopeless love. Slow thro' the church-way path we saw him borne. 1647 Jan-Baptist Brueghel, Flemish artist who died in 1719. Religious Observances RC, Ang, Luth : St Stephen, deacon, the 1st martyr / RC : St. Vicenta Maria Lopez y Vicuña, foundress / Santos Esteban, Adelardo, Constantino, Dionisio, Marino y Zósimo; santas Abundancia y Cristina. DICTIONNAIRE TICRANIEN: mécène: ce que l'auditoire regarde dans mes théâtres.